I'm always interested in ways to re-mix some of my favorite closet pieces. 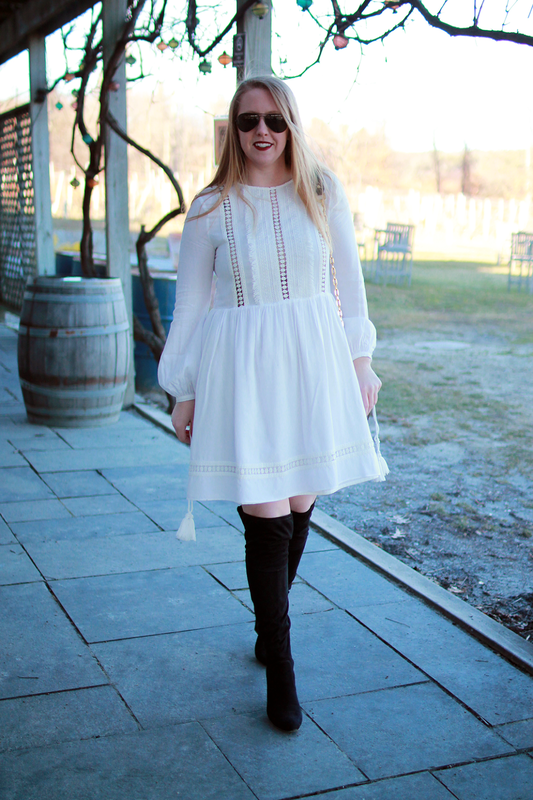 This dress was just too cute to keep tucked away all winter long. I decided to accent the dress with black, because, well, I love a black and white combo! I could have gone with black pumps and tights, rather than the over-the-knee boots, but I'm loving the way it turned out. Danielle and I got together last weekend to take some snaps and sample some wine - perfect little Sunday! The last time I was here at the Nashoba Valley Winery was over a year ago now. Time really flies! I hope you're enjoying your week. Stay tuned for more posts this week! 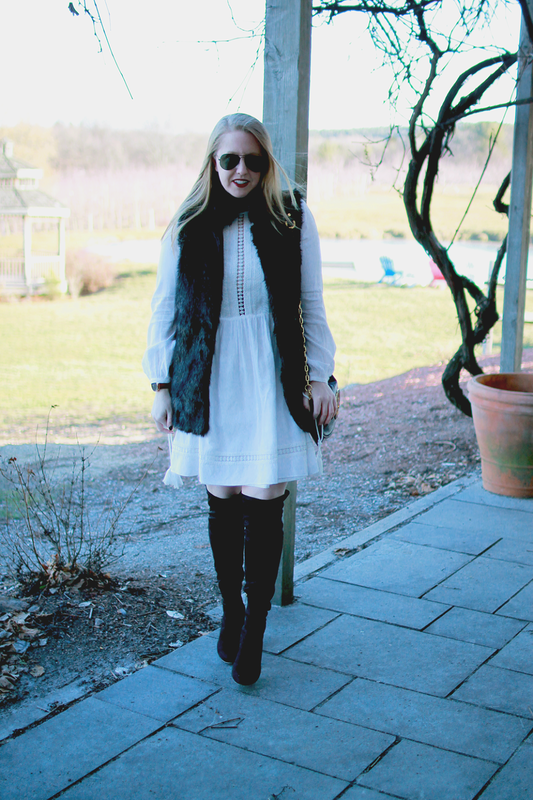 2 comments on "How to Wear a White Dress in Winter "
This is the perfect cozy winter look. The shearling on that vest and those boots is perfection!